Until recently, talented people born in one country were educated, worked, retired and died in that same country. For that country, financing higher education, through tuition fees paid by families, foundations or financial institutions providing loans, or through taxes, was an investment generating extra welfare for the local population: larger graduate income meant extra tax revenues, better wealth, improved productivity of both high and low skilled people. These positive externalities justified and even guided an efficient and fair sharing of the cost of studies between tuition fees and tax financed subsidies. That was the old paradigm. Nowadays the story is different. Talented students are international. Cross border spillovers are at work: the country which hosts them for higher education is neither their place of birth and first education, nor of work after graduation. And the jurisdiction which finances the studies is no longer that which benefits from the enrichment of that human capital. Even more, studying abroad is a driver for subsequently working abroad. That is the new paradigm, illustrated in Table 1: each column refers to the costs supported and the benefits enjoyed by the country at stake; and each row depicts an institutional arrangement as to the financing of higher education. There are 3 different scenarios of who finances the student depicted in Table 1. The “Host Principle” – in which students who go abroad are financed by the country in which they study (the host country); the “Origin Principle” – in which the students’ country of origin finances their studies abroad; and the “Destination country” – in which the cost of HE is covered by the country in which the student ends up after graduation. Two paradoxes arise. 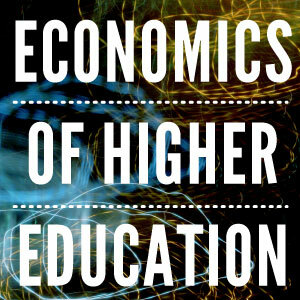 Under the Host Principle the cost of higher education is mainly financed by taxpayers of the host country. The cost of living during that period is shared between money from the family in the origin country and possible support in the host country. And the opportunity costs – the sacrifice in current GDP implied by years of studies – rests on the origin country. In that regime the host country decides on the number of foreign students it admits, taking into account the fraction of them who will stay after graduation, and hence contribute to the economy. One immediately sees that such a number will be inefficiently low (since it represents a cost to the host country that may not be recouped), and increasing with the likelihood to stay (and hence contribute to the cost). That mechanism is applied by many countries in continental Europe, justified by the willingness to have university studies tax financed and accessible to poor as well as to rich students, the need to keep aula and laboratories for people expected to work in the country, and the European law prohibiting discrimination among EU citizens based on nationality or country of origin. The paradox is that those countries whose best interest is to have the studies of foreigners paid by their own country of origin, and most often of destination, keep operating under the Host Principle, a source of inefficiencies in terms of public finance and international students. According to the Origin Principle, the country where the student resides before studying abroad pays for the students’ fees and cost-of-living whilst they are studying abroad. In this case, the best interest of the origin country is to decide on the number of students sent abroad based on the share of them expected to return after graduation. That system is welfare improving when students typically return to their origin country after graduation. It is at work among Nordic countries and Swiss cantons. But paradoxically again it is also at work in Anglo-Saxon countries like the United Kingdom and the United States – subject to some qualifications – which have a high capacity to retain talented foreign students (who were financed by their origin country) ; those countries then free ride the rest of the world. A conclusion comes out: though it is impossible to regulate higher education and the distribution of talented graduates at global level, there is room for improving the efficiency of the market for international students. Three policy recommendations follow: (1) in the spirit of inter-cantons arrangements in Switzerland, every developed country is responsible for the financing of the higher education of its talented residents, either at home or abroad, through providing them with a (income contingent) loan, a grant (like e.g. a voucher), or by a state-to-state transfer, but provided it is in a school whose quality is recognized by the origin country; (2) higher education should be free for students during the time of studies; (3) the destination countries should not free ride others but compensate them through the proportionate repayment of the loan or of the grant, or through a state-to-state transfer. Literature on that topic is increasing, see Gérard and Uebelmesser (2014) for a synthesis; and Voin M. and M. Gérard (2013), A contribution to the study of global competition for talent: the determinants of student mobility and its consequences for the internationalization of the labor market, European economic policy briefing (BEEP) 27, Bruges: College of Europe.